Along with the Red Heart Boutique Swanky yarn that I used in my last post I also received a ball of another new Red Heart yarn, Heads Up. I got the bright coral color which was really fun and bright. 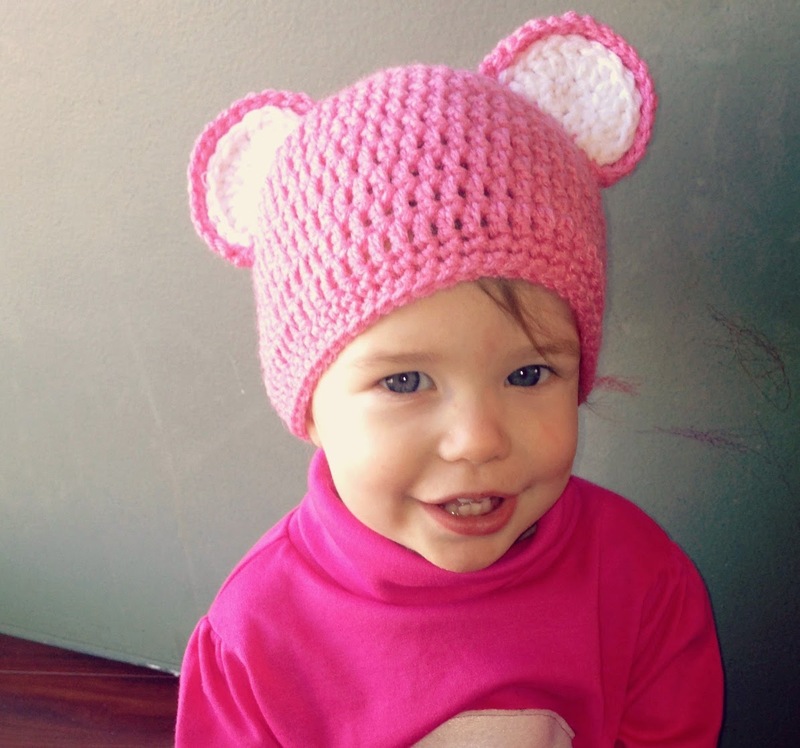 I thought it would make a cute hat for one of my little girls. I loved the bright color, I thought it was something a little different than anything I had ever gotten before but really pretty and fun. It was however, extremely difficult to photograph and show the true color. It is a bulky yarn and it is really soft and squishy. I really liked working with it. To be honest, I can't really think of anything I didn't like about it. I definitely think this is a yarn I will use again. 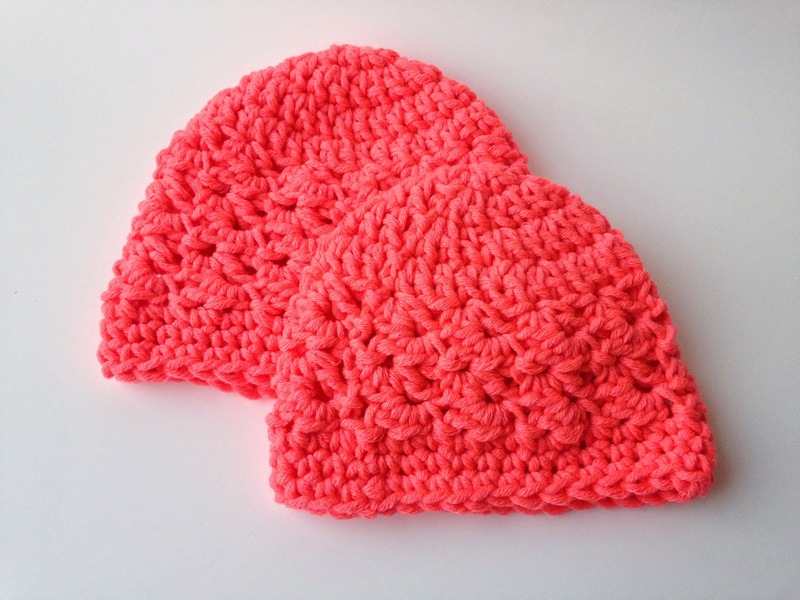 I loved the softness and thickness of the yarn, I think it will be really nice and warm for my little girls. I also felt like it had really great stitch definition, I think this would be great if you are looking for a bulky yarn for something that you really want your stitch pattern to stand out. 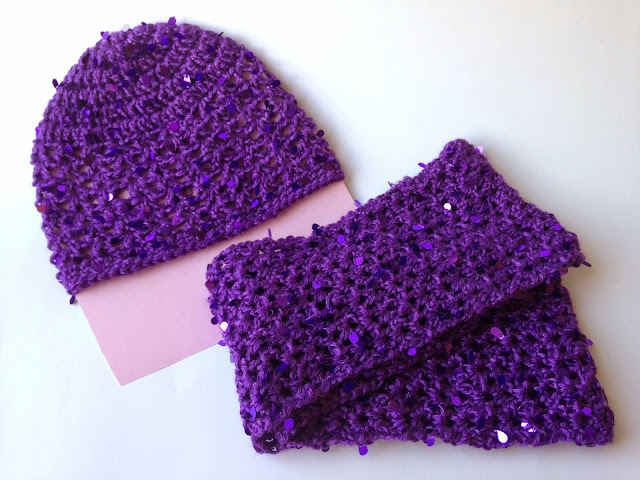 Today I am going to share the pattern for a hat and scarf set that I made for my daughter. It is going to be part of a Christmas present so unfortunately I don't have any pictures of her wearing it. The idea for this pattern came from the yarn. A few weeks ago I was lucky enough to receive a package in the mail from Red Heart with a few of their new yarns for me to try out. Last week, on Halloween, I shared a picture of the Care Bear costume that I made for my daughter. Today I thought I would share the pattern for the hat. It is a toddler size, my daughter is 1 1/2 and it also fits my 2 1/2 year old.